It concerns me when seeing others responding in the same way after reading your book – just how many emotionally broken people are there in the world? There are so many lessons that can be learnt from this... We are not alone in our own little communities. Take a few deep breaths, your book is going to have a huge impact of many families. Let it go – let it go – let it go, my baby girl is a big “FROZEN” fan. 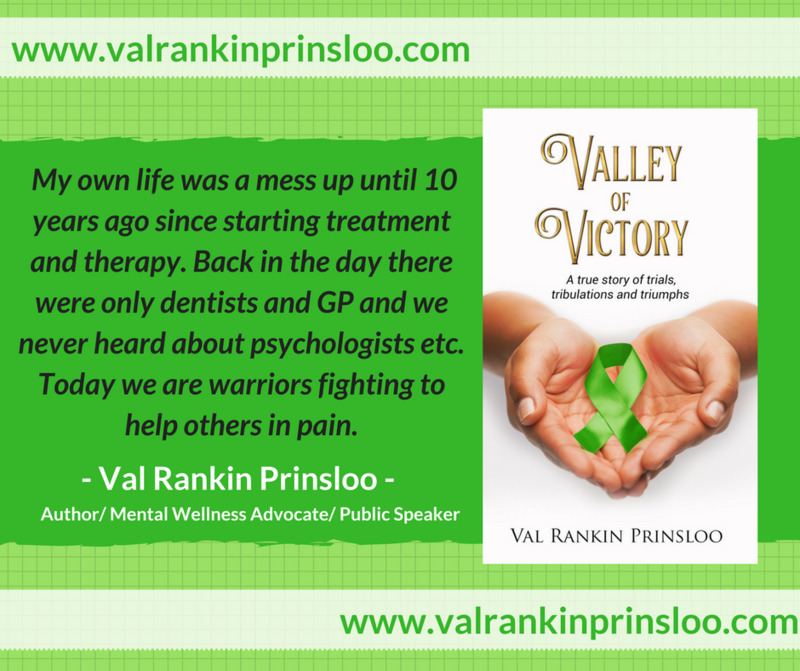 All I can say is that I am totally and completely honoured to even be mentioned in the book of the bravest person I have known in my life. I salute you with hands and feet for opening your heart and soul to help others. 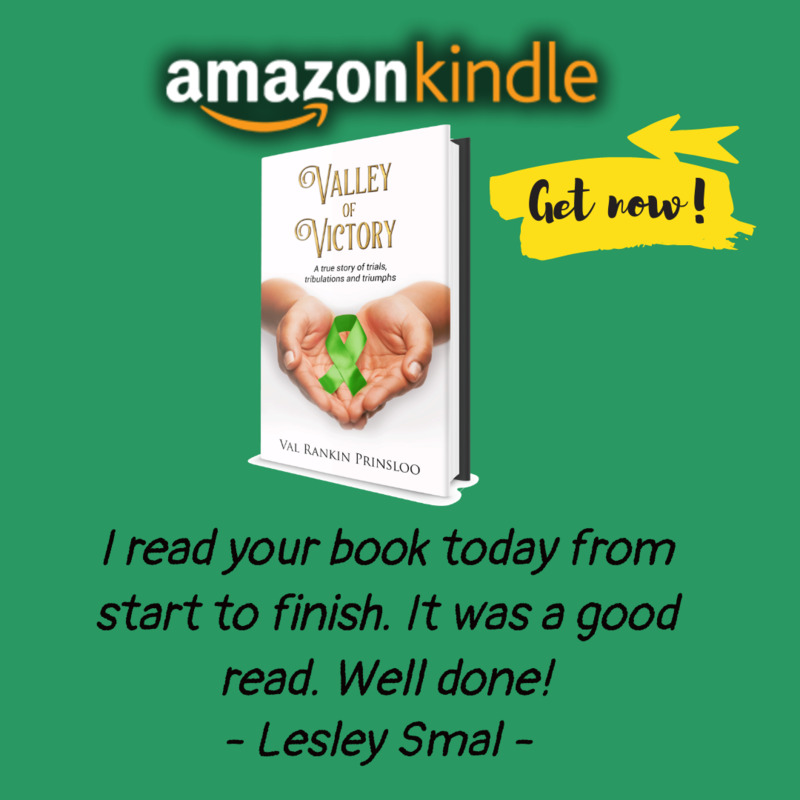 Valley, before you know you will have sold 2 million copies! Hi cousin, people at work have seen your book on my desk and asked to loan in. I have, especially to ladies with obesity issues. The most important thing here is that the message in your book has changed me and my mission now is to make my kids and husband feel more loved by me and through me, so that one day my book too can be a good read also. It is amazing how God’s intervention is as clear as daylight. You told your story in such a realistic and interesting way. I am very proud of you. I have read your book, complete from start to finish, in one sitting yesterday. I am sincerely proud of you and your masterpiece... It is a sad reality but I do admire your courage and determination to triumph in the end. Looking forward to reading more of your work. I (have) almost finished your book and I must say there is so much that I find disturbing. There are so many things that I can relate to. It has brought up so many feelings that were buried very, very deep down. No more hiding our demons. For our parents, we had to behave in a certain way and look a certain way. You did good, it takes a lot of guts but you did it and I applaud you for that. 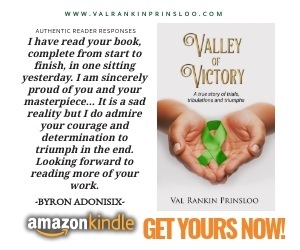 Val, I have read your book twice. Thank you for your support through my trials and tribulations. This is also my “Valley of Victory”. 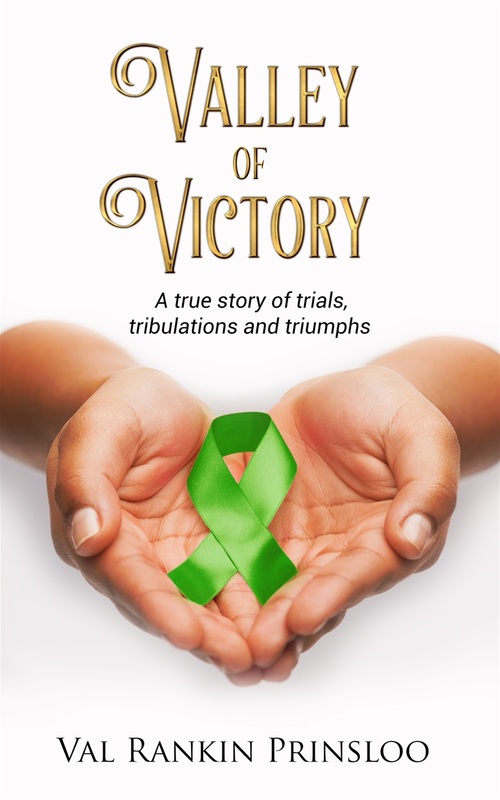 I collected “Valley of Victory” yesterday and have read it cover to cover... Congratu-lations on a well written and thought provoking book.CandisGoodwinThat book really moves, I have read it three times, it is so touching and powerful and life changing. I couldn’t put the book down and finished it within three hours. Reminds me so much of someone else. All she wanted was her mother’s love. Her last words to her mother before she passed away were: “All I wanted was for you to love me.” Her mother thought that sending her to private schools and buying her clothes from Woolworths was showing her love. A good read, every possibility imaginable in our small Eshowe, I was engrossed in every line. Well done Valley, you have spoken for all of us. Thank you for making us question our existence. I am proud of you my Valentino! I read your book today from start to finish. It was a good read. Well done! Along the journey, Valley of Victory asks questions that are as simple as their answers are complex.